We so often hear educators bemoaning resistance. But we are having an epic demonstration of just how normal, healthy and vital resistance can be. Resistance is healthy – it’s our social immune system. The audacity of the Trump-Republican vision: they seriously want a world where privileged, white, church-going, patriarchal males make all the decisions and reap all the rewards, and they are close to having it. 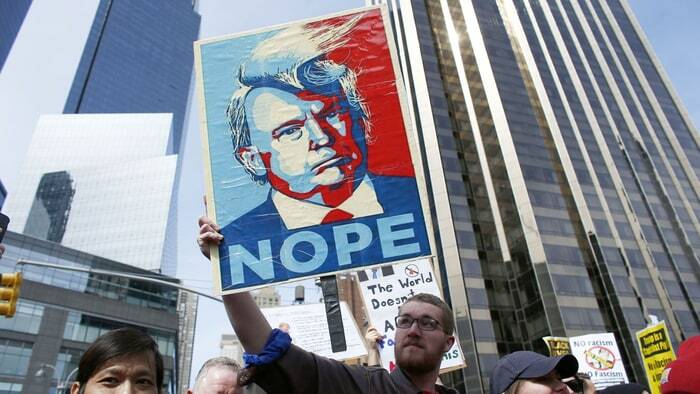 Trump has forced Americans to take sides in a kind of postmodern civil war. There’s little bloodshed, but the passions are almost as hot. Americans know they are in a battle to the death for their historic institutions and social cohesion. Fortunately America’s social immune system is gearing up. It’s good to see progressive actors rising to the unfamiliar challenge of defending, instead of criticising, important social institutions. One memorable indicator: immediately after Trump’s attempted immigration ban, the American Civil Liberties Union raised $24m from 350,000 donors in a few days, compared to their usual fundraising of about $4m a year. Even corporations are joining the resistance. You probably saw one or more of these moving ads, all magnificently celebrating the wonder of diversity. And AirBNB just asked every host to formally agree not to discriminate on the basis of race, colour, ethnicity, national origin, relation, sexual orientation, gender identity, or marital status. That’s a strong statement from a global player. I’m honoured to be facilitator-in-chief of the Municipal Association of Victoria’s 2017 innovation conference on March 15-16. For those of you in government, it’ll be a vigorous and stimulating immersion in the art of innovation – at any scale. We’ll see how simple and effective these practices can be. Hope you can join the fun. 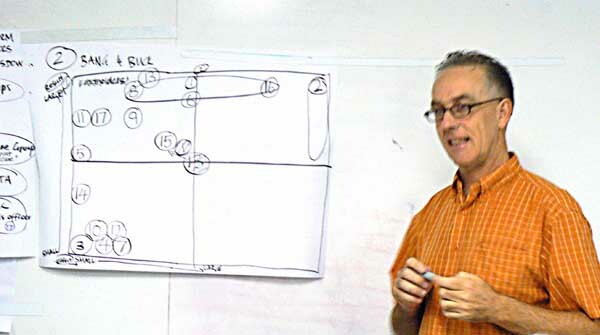 For the first time I’m running Facilitation Skills and Engagement Lab in Brisbane, on 3-4 May. It’s my friend Judy Gregory’s idea, as she sweetly explains here. It’s at her groovy Northside Meetings venue at Red Hill. Details here. It’s a radically different approach to thinking about behaviour change. I’m keen to get feedback from theory-ologists on this one. System thinking is a powerful lens on the world. Every change project is an intervention in a system, and a successful project always involves modifying a system. Last year I posted a resource that peered into systems, based on the work of Donella Meadows. The diagram, however, is a little complicated, so I’ve just made a simpler version to introduce the ideas to participants when there isn’t much time. And on the subject of system thinking I want to plug this resource from The Stockholm Resilience Centre, Applying Resilience Thinking – an excellent decoding of systems thinking ideas, mainly on natural systems but easy to extrapolate to human systems. Short and easy to read. Last year I had the chance to run a couple of Engagement Lab workshops that tested an original formula for pitching innovations to risk averse managers. With the benefit of experience, I’ve improved the formula. Hope you find it useful. – Warm regards from Les. Professional training for those who design and implement change projects. Presented by yours truly. We’ll learn how to create projects to influence the behaviours of groups and populations, mixing design thinking, creativity techniques, and change psychology, all wrapped up in a program logic that makes evaluation easy. We’ll lay down our core competencies as effective facilitators of meetings, workshops and public forums. We’ll generate delightful project ideas to make audiences go ‘What the…!’, start buzzing to their friends and family, and want to ‘come and play’ with our offerings. Feel free to email me at les@enablingchange.com.au to check which workshop is best for you. Numbers are limited to maximum 20 per workshop (16 for Facilitation Skills). 20% early bird discount until 14 March. 20% discount for self-funded, NGOs, and buddies (when two or more people come from the same organisation). I be the Brisbane location is ‘Red Hill’ not “Red Hull”. P.S. Do you receive another email with the updated version, or did you just happen to log on coincidentally? Thanks Evan, I’m still learning how WordPress works.